Directions: PhosBan can be rinsed briefly before use, but since it is friable, do NOT stir the granules, which would pulverize them. Put PhosBan in a tightly-packed media bag or between two layers of fine filter floss in any kind of flow-through filter or filter chamber so that the water is directed through it diffusely. PhosBan is best used in an up-flow filter such as the PhosBan Reactor, but the flow must be reduced sufficiently to prevent the granules from tumbling, which would grind them into powder. Contents: Synthetic ferrous oxide hydroxide. 150 gram jar is 0.33 lb, includes a filter bag, and treats 150 gallons. 454 gram jar is 1 lb, includes a filter bag, and treats 450 gallons. 1,200 gram bulk size includes filter bag and treats up to 1,200 gallons. 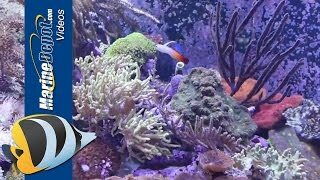 150 grams will treat up to a 150 gallon tank for several months (depending on the phosphate level). Replace when phosphate levels start to rise. I've been using this product for 2 years and only have great things to say about it. It always keeps my phosphates to 0. When a slight creeping in phosphates or after a 2 month period, I change out the filter. Never had a spike since I've been using it. My phospates came down quickly and my corals look better than ever! I"m glad I bought it! This stuff is great! 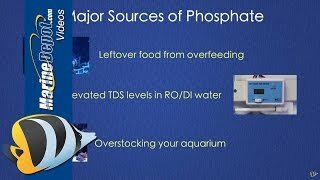 Ive been using it in my phosban reactor for years and my phosphate is always at 0. Works to reduce phosphate. Would be 5 stars except in the media bag placed in any flow of water the media packs so tight water can barely flow thru it. Ended up having to take the bag out of my filter and place it in front of my sump return pump to get flow thru the bag.